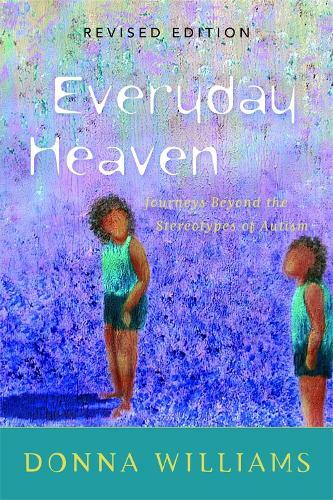 Everyday Heaven is the much-awaited fourth installment in Donna Williams' series of best-selling autobiographies about her life with autism. A humorous, riveting, roller-coaster of a book, Everyday Heaven covers the monumental nine years from the time Ian left their accidental, 'autistic marriage', to Donna's candid, funny, often bumbling explorations of sexuality and orientation, the challenge of coming to terms with the sudden deaths of those closest to her and finally knowing what life was like without the invisible cage of her 'Exposure Anxiety'. Described as enthralling, deeply moving and gripping, this book will strike a lasting chord not only with autistic readers and professionals seeking to better understand those on the autism spectrum but all of us who simply dream of daring to love deeply, to adventure and to deal triumphantly with the losses along the way.